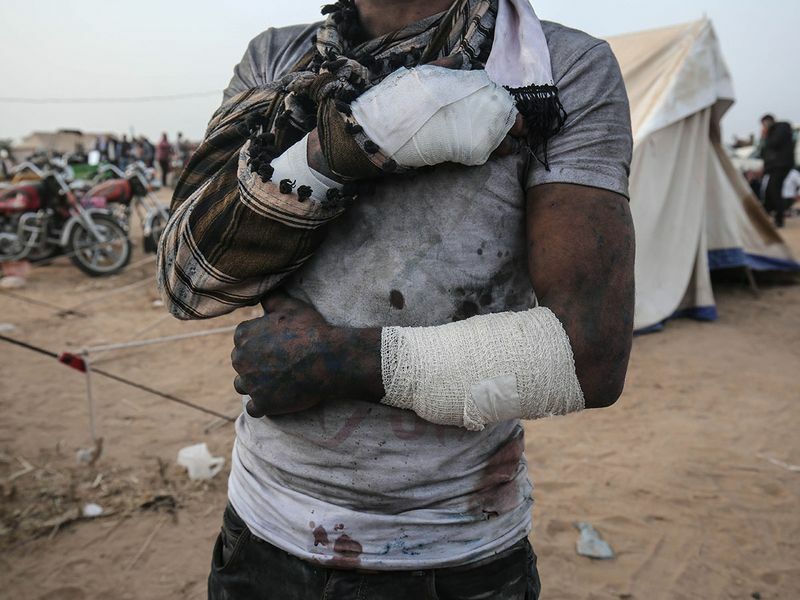 Gaza: A year ago, Ezzedine Al Baz’s decision to skip work and join tens of thousands at the first day of protests along the Gaza-Israel border nearly cost him his life. 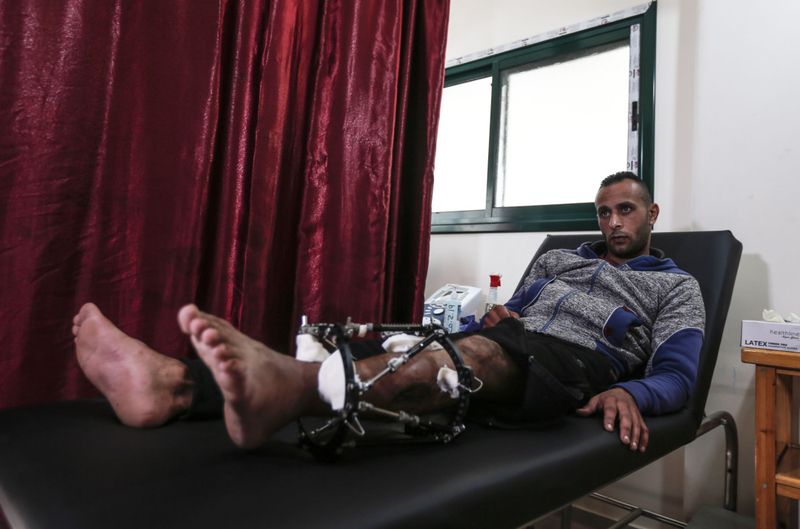 Al Baz, then 29, said he had been standing a couple of hundred metres from the border fence for only about a half an hour when an Israeli sniper’s bullet pierced his leg. Five operations and multiple infections later, he is missing a chunk of bone, his leg remains strapped in a metal case and he will likely never walk as before. “It has been a year that I have been suffering, there is still pain,” he said from a clinic run by medical charity Doctors Without Borders (MSF) in Gaza City. 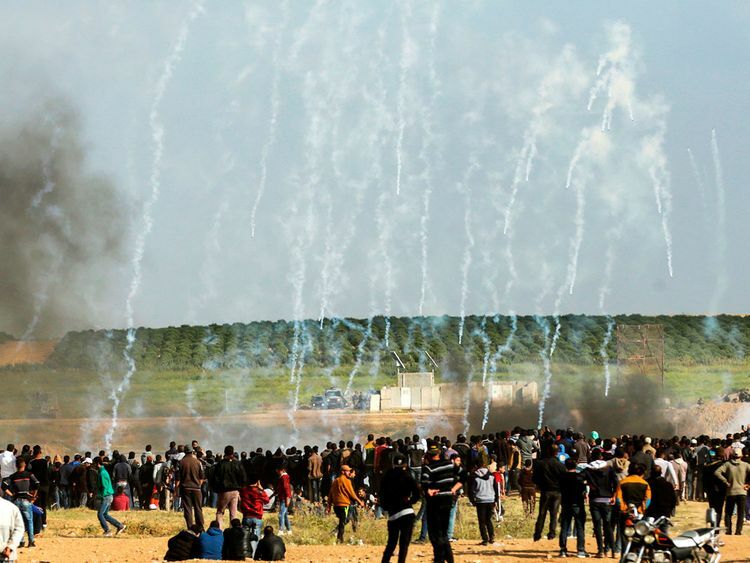 A year after the start of protests and clashes on the Gaza-Israel border, more than 200 Palestinians have been shot dead by Israeli snipers. But beyond those killed, thousands of others wounded have been largely forgotten. Israeli forces’ use of live fire has come under heavy criticism, with Palestinians and rights groups saying protesters have been shot while posing no threat. Last month, a United Nations probe said Israeli soldiers had intentionally fired on civilians in what could constitute war crimes. At the MSF clinic, dozens of young men with casts sit on plastic chairs waiting for treatment. The organisation has treated more than 4,000 Palestinians with gunshot wounds. A few hundred are not healing and risk amputation. Mohammad Bakr, a 27-year-old fisherman, was also shot on March 30 last year and has had six operations. “Since that day I have had no hope for the future,” he said. He accused Israeli soldiers of shooting at protesters who did nothing to provoke them. There have also been knock-on impacts for the Palestinian territory’s already beleaguered health system. Hundreds of those shot remain at risk of infection and amputation, while Israel has turned down most applications to leave the strip for treatment. 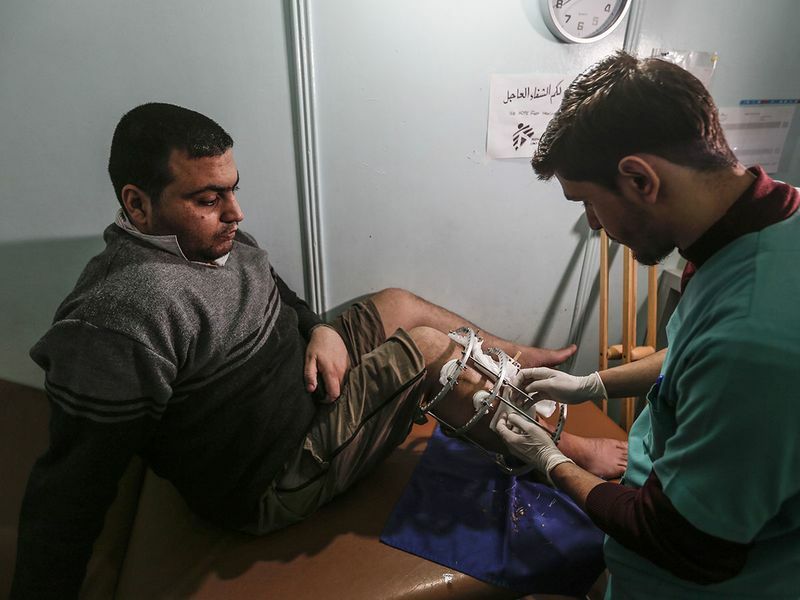 So stretched are healthcare services that thousands of operations for other conditions have been delayed, while doctors who can leave are fleeing the strip, Gazan medics say. With major protests expected on the anniversary Saturday, medical professionals are worried. “A full-blown escalation would obviously push the system again towards the edge of collapse,” said Gerald Rockenschaub, the World Health Organisation (WHO) head in the Palestinian territories. The protests labelled the “Great March of Return” have called for Palestinian refugees to be allowed to return to their former homes in which their ancestors were forced to flee after the state of Israel was created on Palestinian land. They were also billed as an opportunity for protesters to break the decade-long Israeli blockade of Gaza. The World Bank says the restrictions are the primary cause of desperate economic circumstances in the strip, where seven out of 10 young people are unemployed.